Using olive oil in cakes has become a recent trend in pastry. Perhaps it’s a need to avoid as much as saturated fat as possible in order to make pastries and cakes lighter and healthier. Cakes indeed become healthier when we use olive oil instead of butter but they also get to be extremely tasty and they obtain a different texture, plus the fact that they stay moist much longer. 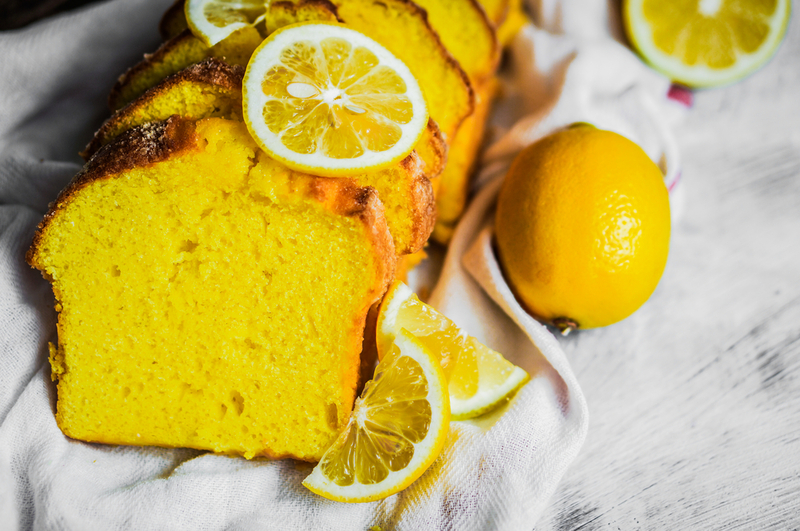 In today’s post we’re going to bake a lemon cake with olive oil- keep in mind that citruses match perfectly with olive oil. Moreover this is only the first of a series of posts dedicated to cakes, tarts and pies made with olive oil. So stay tuned! Preheat the oven to 180 degrees (Celsius). Butter and flour a cake pan. Set it aside. In a large bowl combine the flour with the baking powder, baking soda and salt. In another bowl combine sugar and lemon zest. Rub with your fingertips. By doing this much of the lemon’s essence will be released. Add the eggs and whisk with the mixer for at least 5 minutes until the mixture becomes pale and fluffy. Add the lemon juice. Slowly add the olive oil while on low setting. Gently fold the flour mixture into the batter using a spatula. When everything is combined well –make sure the spatula has gotten to the bottom of the bowl- pour the batter in the cake pan and bake for about 45 minutes. Let it cool before putting it onto a cake plate. Dust with icing sugar. This entry was posted in Around the Greek table and tagged cakes on 5 August, 2013 by George Papageorgiou.